Citrus and peppermint essential oils working well together to awaken your sense of smell. This one has the tingle from the menthol in the mint. 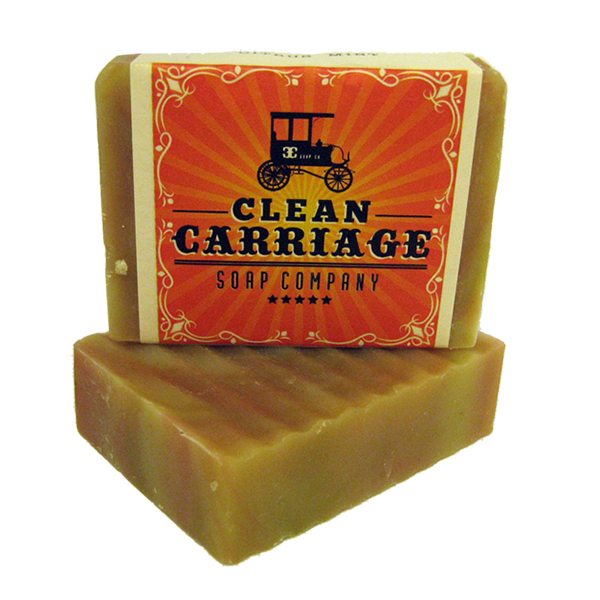 Copyright 2017, Clean Carriage Soap Company.